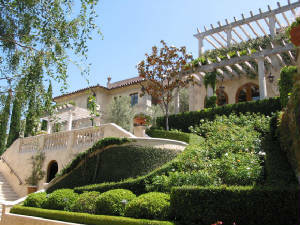 Scott Alan Rivers is a most capable architect specializing in high end custom residential. With architectural degrees from both Princeton University and the Harvard Graduate School of Design, he has maintained his private practice for over twenty years completing a variety of challenging projects throughout the United States. Often collaborating with notable interior designers, Scott's focus has been designing and project managing luxury properties throughout Southern California. His experience also includes a wide variety of projects outside of the region: a beachfront residence in Maui, a ranch estate in Oklahoma, a ski residence in Yosemite and a summer home in Cape Cod. His work has been exhibited, published and admired for his ability to present an consistent aesthetic using thoughtful planning and high-quality details. Scott obtains most of his work from referral and has many repeat clients. They appreciate his assistance while making important decisions throughout all phases of a project. Conscientious, creative, proficient and resourceful, Scott Alan Rivers strives to be the consummate professional for his clients.